NECL have 15 + years of experience assisting home users with all aspects of IT Support. For help with laptops, desktops, mobile phones, printers, software and connectivity for clients in and around London, Buckinghamshire and Hertfordshire. NECL offers a wider range of home IT help services all of which are tailored to help liberate you from your frustrations with technology. Request home IT support from NECL and take the first steps to diagnosing issues with your existing IT equipment (desktop computers, laptops, mobile phones, software and home networks) or discuss your IT requirements and get expert advice and recommendations from our small team of high quality technology experts. NECL can help with many common IT issues encountered frequently amongst home users. We can work with your existing technology and hardware/software configurations, or we’d be more than happy to discuss your ambitions and requirements allowing us to apply our experience and expertise in recommending new systems for your home. Our team of experts are ready and waiting to help with your home IT support requirements. If you’re based in and around London, Buckinghamshire or Hertfordshire and are looking for help with your IT at home, contact our small team of friendly helpful IT experts today and learn more about the home IT support services offered by NECL. We use our expertise and 15 + years of experience servicing home IT users to help our clients evaluate their technology options with total confidence. Our team can diagnose and in some instances repair existing equipment, while we’re also at ease recommending new hardware and software for home IT users. NECL offer a home IT help service for discerning clients who appreciate and expect nothing but exemplary levels of service. We help home users overcome frustrations with IT in and around London, Buckinghamshire and Hertfordshire. Our small team of high quality experts look forward to working with you. NECL are highly competent when it comes to digital and online security. Whether you’re looking for help and advice concerning email network security and data privacy issues relating to your use of technology, or you’re looking for help protecting children whilst online, the team at NECL can help! At NECL we place a great emphasis on face to face relationships, rather than simply working over the phone with clients or worse, outsourcing your support offshore! You can be guaranteed to work with the same IT expert wherever possible, offering continuity and a sound understanding of your requirements. Our team of IT experts have been carefully selected to ensure the highest levels of service are provided to our growing number of home IT clients. Our experts have an unrivalled ability in helping to simplify complex technology setups and training you and your family how to get the most from these. Your home IT support expert can offer assistance with any device, whether procured and installed by ourselves or otherwise. Get help at home in London with laptops, desktops, mobile phones, home entertainment, software, printers and connectivity. Get more from technology at home with our IT experts! Are you experience difficulties with your home computer network or connectivity? Does the WiFi coverage at your home leave a lot to be desired? Does your wireless internet connection constantly leave you frustrated by impacting productivity and enjoyment at home? If you’re asking yourself these questions, contact NECL today and learn more about how we can help! With remote working becoming increasingly popular in the digital age, an increasing number of people are setting up office at home. With this comes a necessity to have continuity and reliability with IT and technology at home. Contact us and join the growing number of home workers in London who choose NECL for home IT support. We've been in business for over 15 years and we invite you and your family to take advantage of the combined experience held by the NECL team. Our small team of experts can help with all aspects of your home office setup, empowering home workers through better IT implementation! We’ve have a range of IT packages available for home users and we will happily tailor an IT package to your individual requirements.  We're dedicated to excellent service and support for all home users; reflected by our 5 star rating on Trustpilot - which we're very proud of! WHY CHOOSE NECL FOR YOUR HOME IT HELP & SUPPORT?